Previous research published earlier this year in Nature Medicine (1) showed it was possible to reduce holistically the burden of damaged cells known as senescent cells with a natural molecule from plants, thanks to which lifespan and improve health were increased. (2) Furthermore, this molecule called fisetin, a flavonoid, was still safe and effective when taken late in life. Fisetin is found in many fruits and vegetables. It has been shown that this molecule can significantly increase both health and lifespan, thus helping to mitigate the hardship and costs of age-old chronic diseases. 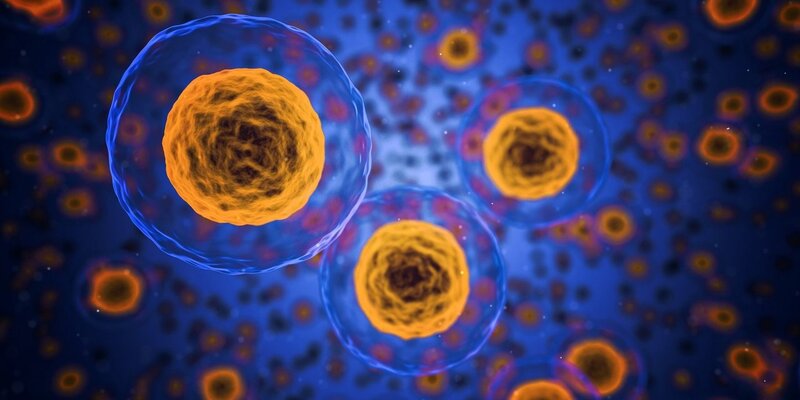 What are senescent cells ? As people age, they accumulate damaged cells. 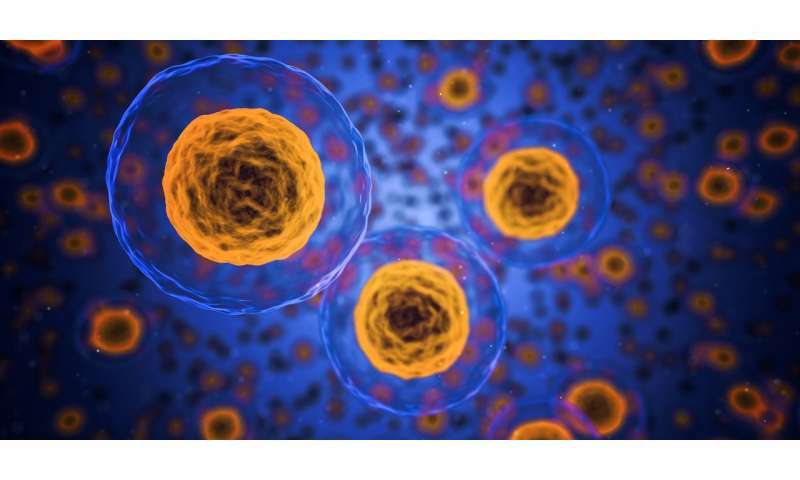 When the cells get to a certain level of damage they go through an aging process of their own, called cellular senescence. The cells also release inflammatory factors that tell the immune system to clear those damaged cells. A younger person’s immune system is healthy and is able to clear the damaged cells. But as people age, they aren’t cleared as effectively. Thus they begin to accumulate, cause low level inflammation and release enzymes that can degrade the surrounding tissues. Furthermore, by changing the micro-environement’s field, other healthy cells start to go haywire as well. (See the Institute’s booklet on this topic). One of the key hurdles that these researchers surmounted was to target only the senescent cells. Under the guidance of Edgar Arriaga, a professor in the Department of Chemistry in the College of Science and Engineering at the University of Minnesota, the team used mass cytometry, or CyTOF, technology and applied it for the first time in aging research, which is unique to the University of Minnesota. Isolating a molecule from whole fruits and vegetables, synthesizing it in the lab, finding the right therapeutic dosage and testing it in animals and then humans is the conventional way of carrying out the business of science. However, the experience of the Optimal Longevity Institute shows that using fruits and vegetables that are rich in fistin, in combination with other natural senolytics and advanced immunotherapy has the potential to be decisive insofar as both cancer and longevity are concerned. Human clinical trials are therefore warrented. (5). Below a few published studies on this question. W. W. Li, V. W. Li, M. Hutnik, A. S. Chiou. Tumor angiogenesis as a target for dietary cancer prevention. J Oncol. 2012 :1-23. And. S. C. Reuben, A. Gopalan, D. M. Petit, A. Bishayee. Modulation of angiogenesis by dietary phytoconstituents in the prevention and intervention of breast cancer. Mol Nutr Food Res. 2012 56(1):14 – 29. And. S. Lamy, N. Akla, A. Ouanouki, S. Lord-Dufour, R. Béliveau. Diet-derived polyphenols inhibit angiogenesis by modulating the interleukin-6/STAT3 pathway. Exp. Cell Res. 2012 318(13):1586 – 1596. And J. Tanaka, S. Nakamura, K. Tsuruma, M. Shimazawa, H. Shimoda, H. Hara. Purple rice (Oryza sativa L.) Extract and its constituents inhibit VEGF-induced angiogenesis. Phytother Res 2012 26(2):214 – 222. And C.-J. Weng, G.-C. Yen. Flavonoids, a ubiquitous dietary phenolic subclass, exert extensive in vitro anti-invasive and in vivo anti-metastatic activities. Cancer Metastasis Rev. 2012 31(1 – 2):323 – 351. And P. E. Miller, D. C. Snyder. Phytochemicals and cancer risk: A review of the epidemiological evidence. Nutr Clin Pract. 2012 27(5):599 – 612. And M. F. McCarty. A wholly nutritional ‘multifocal angiostatic therapy’ for control of disseminated cancer. Med. Hypotheses 2003 61(1):1 – 15. And T. Tarver. The Chronic Disease Food Remedy. Food Technology 2012 66(10). Activating longevity genes is never too late: new findings for the elderly. Federal Report states that the American Diet is “suboptimal” and recommends a plant-based diet for the first time ever: if finalized, extended longevity may occur.